Hi, Jessica here! 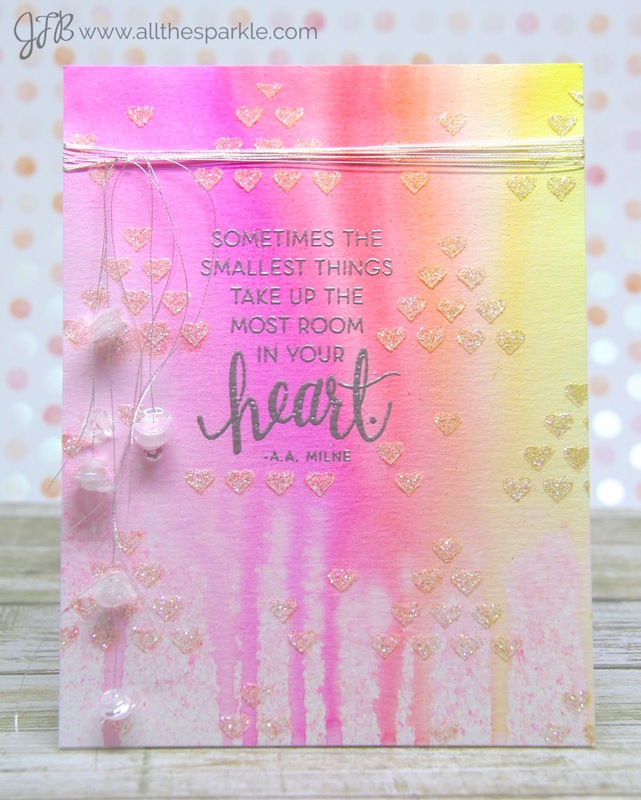 This month we are collaborating with Neat and Tangled and my card for today uses some of their cute stamps and sequins! To start off I blended salty ocean distress ink onto a piece of white cardstock. 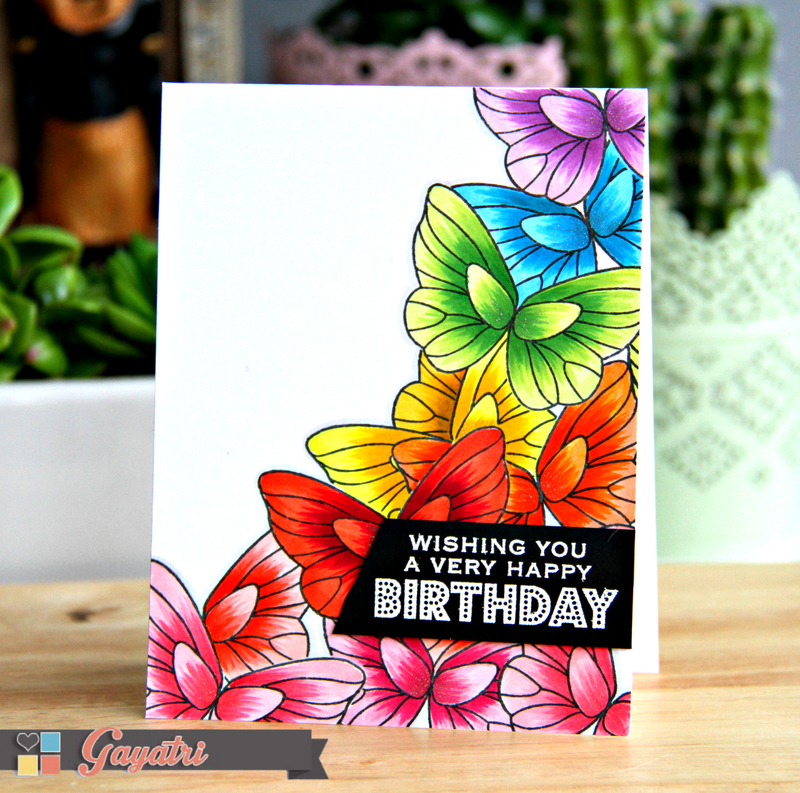 I didn’t worry too much about getting a super smooth blend because I knew I’d be layering a background stamp over it. And actually, the variation in coverage gives more shadow and dimension to the waves! After that dried I stamped it with the Hero Arts wave background stamp inked with salty ocean, mermaid lagoon, and chipped sapphire distress ink. I just dabbed the pads onto the back of the stamp randomly. To finish the background I stamped the sentiment from another Hero Arts stamp set onto the panel. 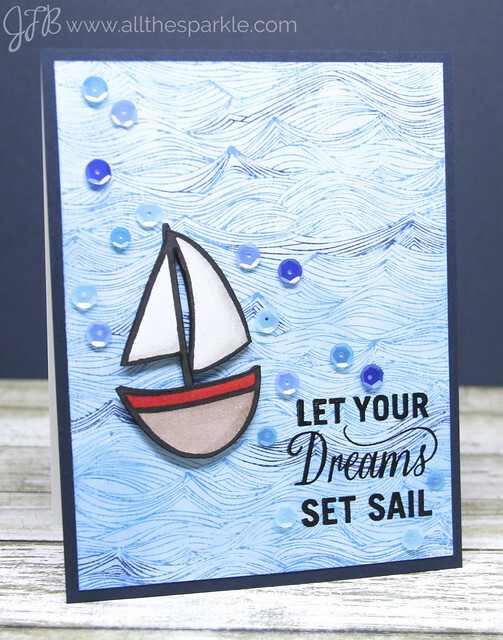 Next I stamped the sailboat from Neat and Tangled onto a piece of cardstock and colored it with copic markers. I fussy cut the boat and adhered it to the background with foam mounting tape. 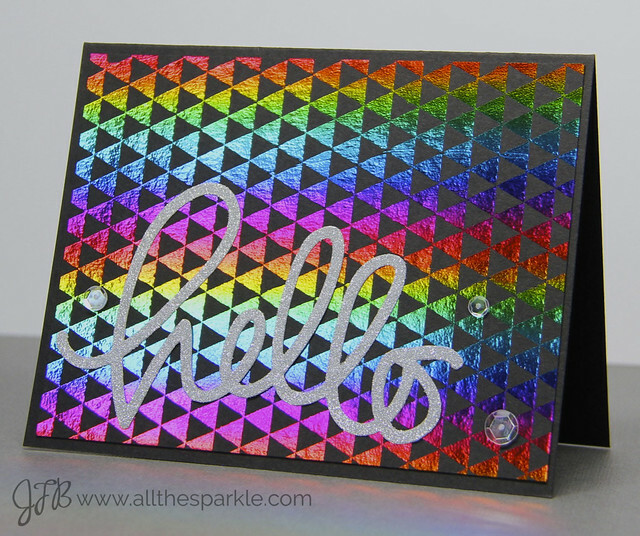 Finally I added a sprinkling of sequins in various shades of blue and then mounted that panel to a dark blue card base! Thanks so much for visiting today and don’t forget to play along with our current challenge: As Clean and Simple As Can Be! Hello, Jessica here! Today I’m showing off some of the beautiful ribbon we received from our collaboration with May Arts Ribbons! We’re nearing the end of July and it’s been hot enough around here recently that I’m ready for September/October now! Autumn is my favorite season and when I was looking at my ribbons I realized that several of them had a very autumn-themed color palette. So, imagine for a moment that it’s the beginning of October, the air is starting to get that crisp feel to it, and you’re out picking apples in an orchard with the anticipation of having a cinnamon spiced apple pie for dessert! That’s my inspiration for today’s project! 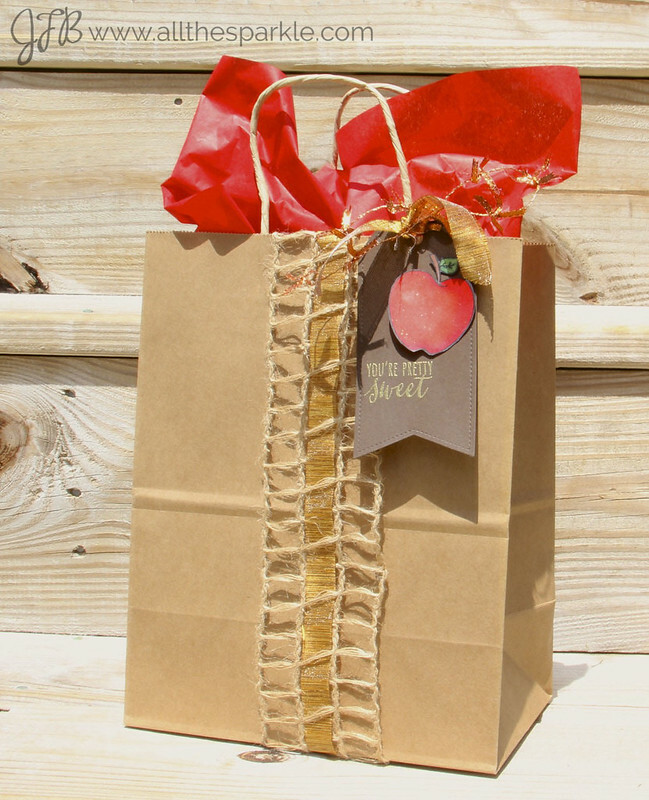 Baking is one of my other favorite hobbies and in a few months I plan to pick some honeycrisp apples at our local orchard and make some cinnamon apple nut muffins to stick in this bag as a gift! Now I just have to wait for the apples to ripen! To start off I took the pretty gold metallic ribbon and wove it through the natural woven ladder ribbon. Then I wrapped it around the center of the bag, tucked it over the top of the bag, and used clear gift wrap tape to secure it inside. Next I die-cut a tag from Simon Says Stamp Chocolate cardstock, stamped the sentiment on it with versamark, and heat-embossed the sentiment with Hero Arts gold embossing powder. I stamped the apple from Hero Art’s Stamp Your Own Fruit onto white cardstock and used copic markers to color my apple. I also added a little shine with a wink of stella clear glitter brush. I fussy cut the apple and adhered it to the tag with foam mounting tape. 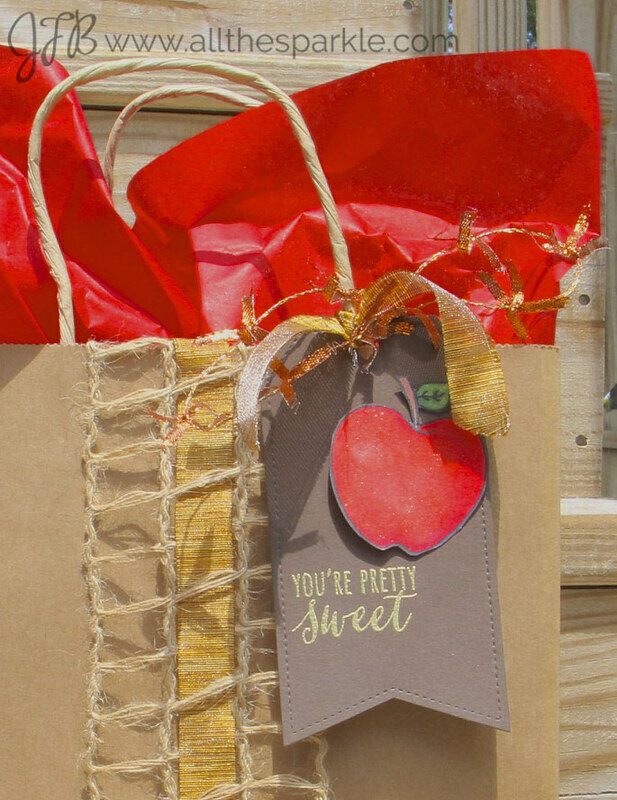 I punched a hole in the top of the tag and used the gold metallic ribbon and another ribbon with little copper bows to attach the tag to the bag. I love the various textures of the ribbons and how nicely they compliment each other! 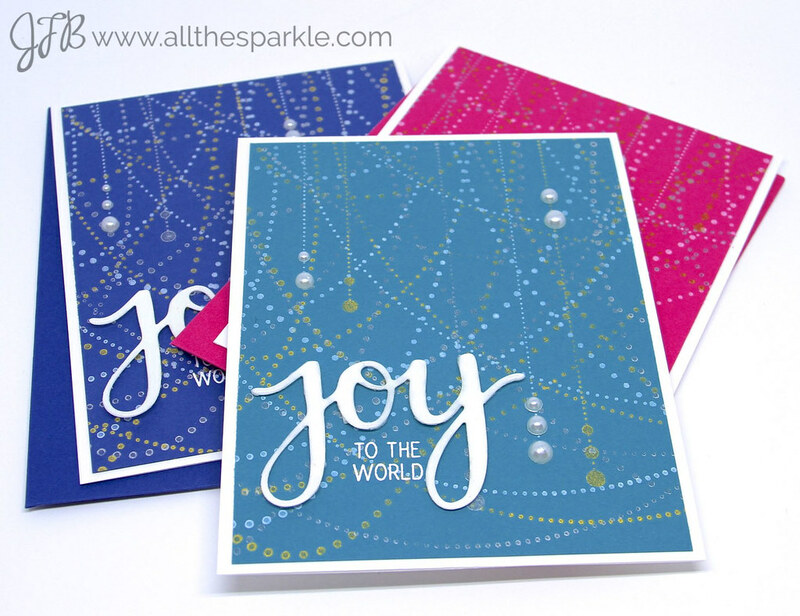 Thanks for visiting today and don’t forget to play along with our current challenge: Make the Sentiment the Star! Welcome to our newest Challenge! We chose some fun photographs from Pinterest, created this collage and sent it out to our Design Team to see how inspiration would strike. 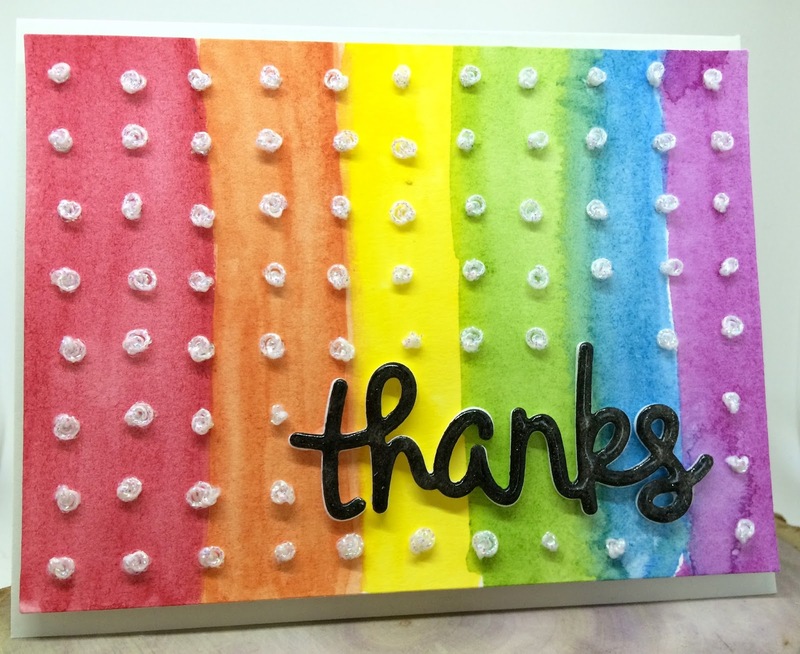 It’s rainbows, and colors, and just all of the fun rolled up into one challenge! 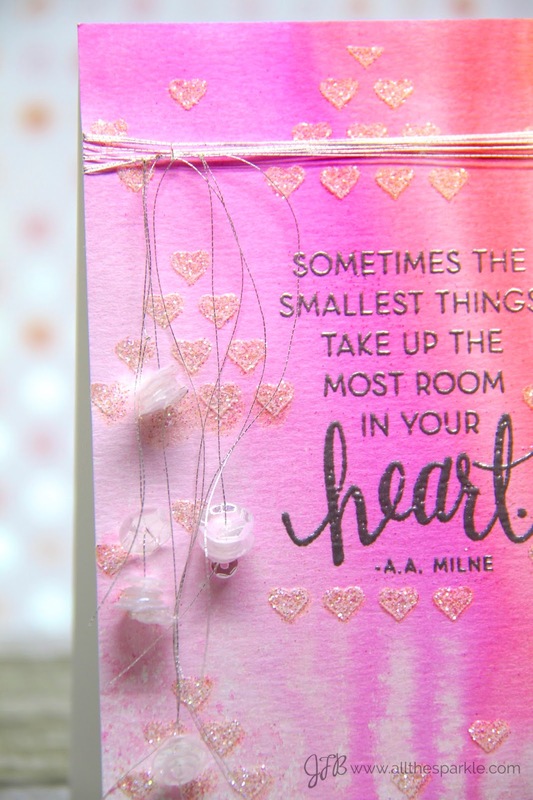 Take a look at what the ladies came up with, and I know we’d all love if you’d come to our blogs and say hello. Our awesome sponsor, Simon Says Stamp has offered a $25 gift certificate to the winner of this challenge. And they have a new release coming out, which we know you’ll want to add to your collection. So, please join us in this challenge. 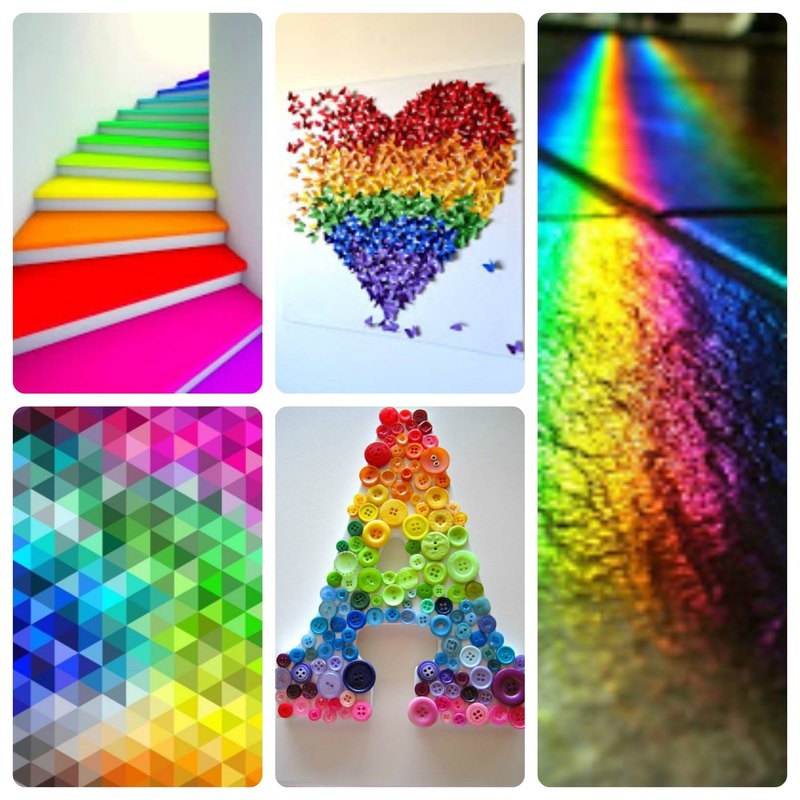 Get our your rainbow supplies and make something awesome. Then use the tool below to enter your project and cross your fingers!